HDD Enclosure 2.5" USB 2.0 for SATA U2S-5	500,00 ден. 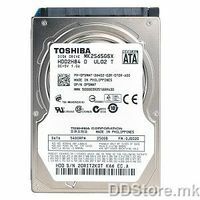 HDD Toshiba Ramp-Load 250GB 2.5" 8MB SATA Internal	565,00 ден. HDD External Rack 3.5" USB 3.0 Samsung D3 Station Black	780,00 ден. 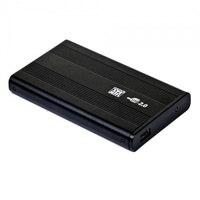 HDD Enclosure 2.5" USB 3.0 for SATA U3S-1 Gembird	950,00 ден. HDD 2.5" 160GB Samsung Spinpoint M7E SATA2 5400rpm 8MB	1.790,00 ден. HDD 250GB Seagate 7200rpm 8MB SATA-II ST3250318AS	1.831,00 ден. HDD 250GB WesternDigital 7200rpm 16MB SATA-II WD2500AAKS	1.831,00 ден. [OUTLET] HDD 3.5" 1TB Hitachi SATA-2 32MB HUA721010KLA330	2.275,00 ден.